Hey my lovely friends! 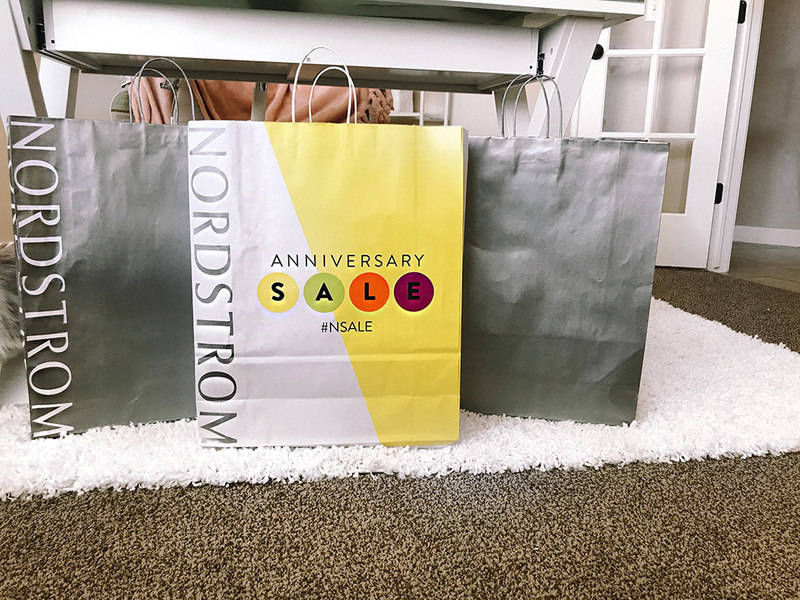 Just took a trip up to Nordstrom today to check out the sale in person. I must say, it was very picked over, but I managed to find some gems! I would definitely keep to shopping online because they have a ton of great things left there rather then in stores. At least thats how it is over in Utah. Sharing some of my picks with you today! You’re going to love what I found. Only 4 days left! Make sure you snag what you can wear for Fall! TOP Only $17.90 and comes in 4 other colors! Going fast! 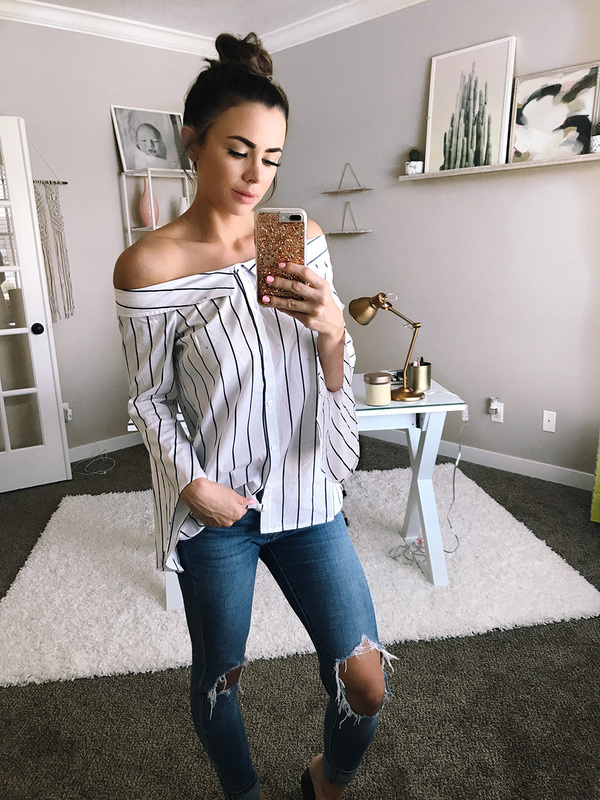 This top comes in this striped comes in white too! This was the only one left in stores, but they have all sizes online! This was a shirt that I don’t think I would’ve picked out online. Definitely looks so good on, and SO flattering. HUGE staple. The jeans aren’t part of the sale, but they’re my ALL TIME FAVORITE pair of jeans. Under $100 too. These exact ones are sold out and come and go! I will keep my eyes out for a restock before the sale is over, so make sure to watch out on my IG stores. I linked some that are STILL in stock right now. So snag them quick! 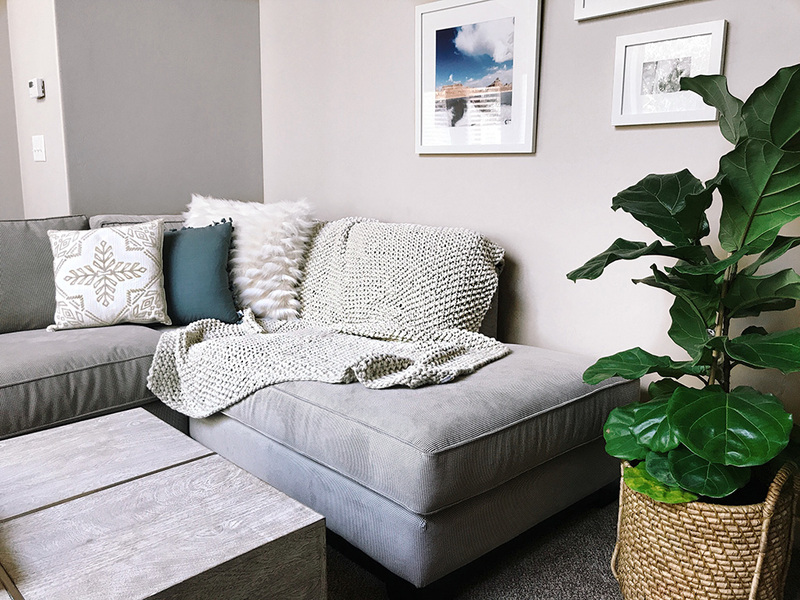 This throw is just what this room needed! Also, I get a lot of questions on the couch. It is from Rcwilley. The plant is real and called a fig tree. 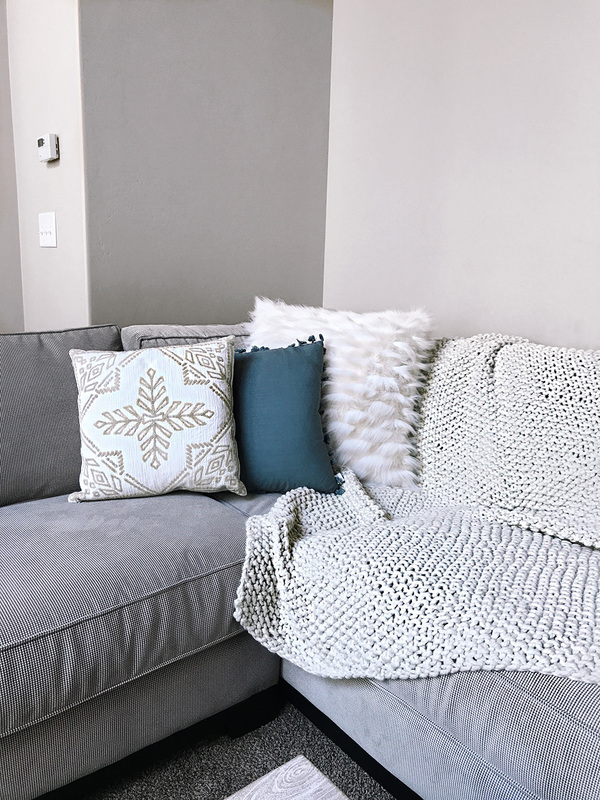 The aztec looking designed pillow is another thing I added that looks so good with the throw. Both are from the sale! 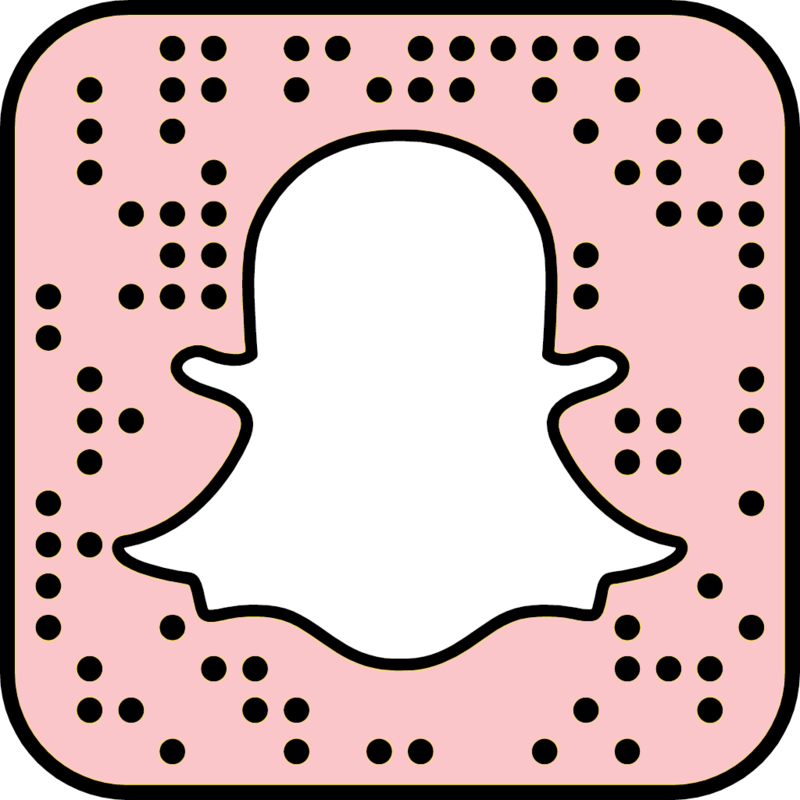 So as you guys know, from my IG stories & snapchat, I have been redesigning my whole office. Well… I should say–I’m FINALLY designing my office. All it was before was a dark ugly brown 1950 desk … with nothing on the walls haha. My priorities have shifted to my house lately, and I want to get everything done! 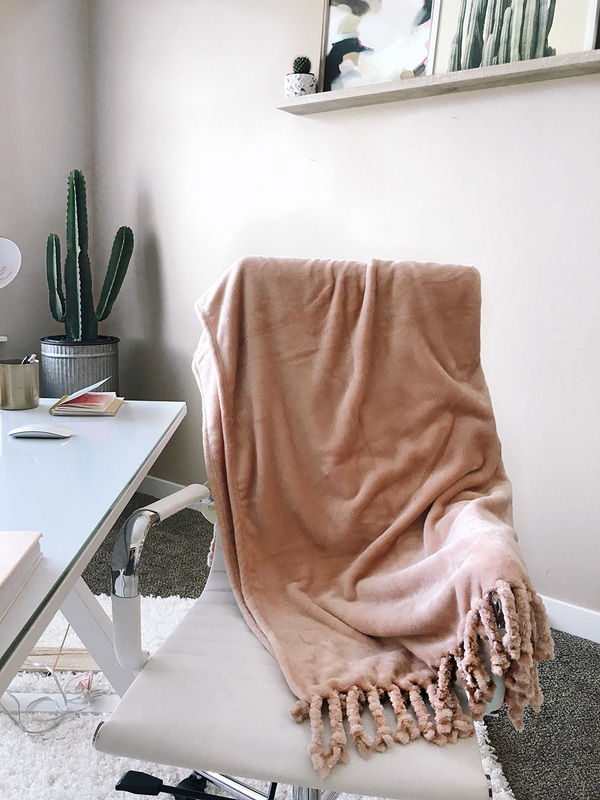 Anyways, I got this cute pink throw from the sale, I added on my chair. I want my whole office to be my brand colors. Pink, black & white! So this was perfect. 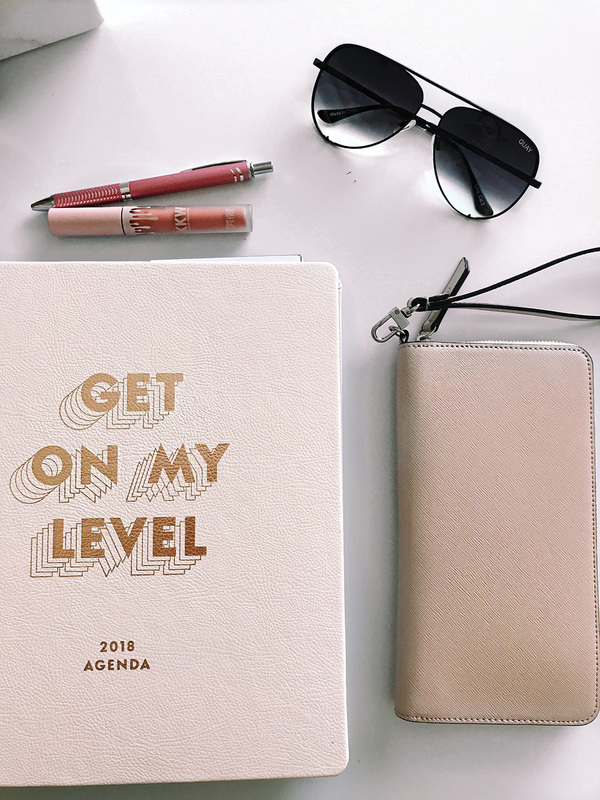 THEN I got this cute planner! It has tons of space for scheduling things. I need to get more organized with life, so I’m not so overwhelmed. Going to do an office reveal SO soon! I am working with a budget so things are getting done in increments haha. But I will reveal most likely in the next month. I have some things I need to tweak. HAPPY SHOPPING! Let me know if you have any questions about anything.